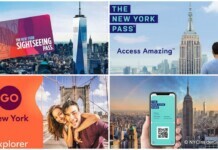 New York CityPass Winter Special – While the New York CityPASS is normally good for Nine (9) days, if you use your booklet on or after December 15, 2011 you have until February 29, 2012 to enjoy each ticket in the booklet once. 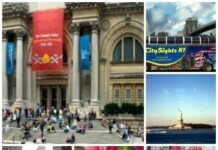 Gilt Groupe and Gilt City have some of my all time favorite deals in NYC! If discount designer shopping is your thing, then definitely take a look at Gilt Groupe and if you want to experience luxury NYC dining, shows and more at a huge discount, then Gilt City is for you. I cannot begin to tell you how many thousands of dollars I’ve saved since these two programs launched! Want more New York City Coupons? There are so many from which to choose, but I tried to organize them so you can check out the top deals in each category: Broadway, Restaurants, Events and Shows, Sports, Shopping, NYC Activities, Sightseeing, and Beauty and Spa. Cheap Flights to New York City – Do you know all the best ways to book cheap flights to New York City? Or which airport might cost you an additional $50 in taxi fees? – reservations open January 4th! 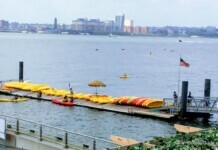 First Ever New York City Hotel Week, Rooms from $100 – From January 6-15, 2012, eight hotels and NJFPR are kicking off NYC’s FIRST ever Hotel Week with $100, $200 and $250 per night deals. Manhattan Hotels participating include: The Pod Hotel, The Hotel at Times Square, New York Manhattan Hotel, Andaz Wall Street, Hyatt 48 Lex, Gansevoort Meatpacking NYC and Gansevoort Park Avenue NYC. More New York City Events: January, February, March, April! 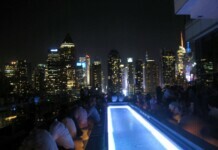 Lots More New York City Events February coming soon! I am writing you this newsletter from HAWAII! And I just got back from a month in Spain – all while running my business. Everyone is ALWAYS asking me how I built this site and how it generates income? How can I work from my sofa or anywhere in the world? The answers are always on my Do You LOVE New York City Yet? page. If you’ve ever thought about making money online, this is a great way to do it!